China is developing a new stealth bomber called the H-20. 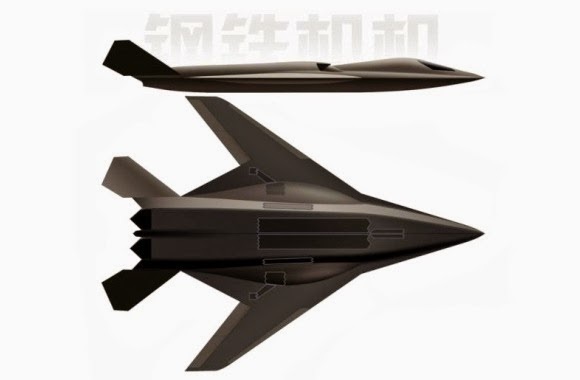 The stealth bombers development will increase the strength of Chinese strategic bombers, said Bill Sweetman, a military journalist and Richard D. Fisher, a researcher on China's military development as reported by Wantchinatimes.com. At present, China is still in the development stage for future strategic bombers, as well as the United States also is developing stealth strategic bombers through the Long-Range Strike Bomber project and Russian with the PAK DA bombers program, according to reports Aviation Week & Space Technology. The H-20 bombers likely to be developed and manufactured by Xi'an Aircraft Industrial Corporation (XAIC), one of the main developers of the China's planes. 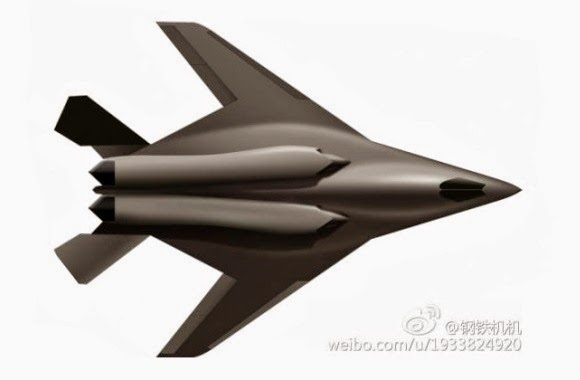 And H-20 bombers are likely to be configured with low observable features and subsonic speeds. According to the report of China Aviation News in January 2014, since 2008 China has mentioned designing the strategic stealth bombers. The design was designed by the Aviation Industry Corporation of China, which is the parent company of XAIC. Plan for the future development of China bombers actually also has resonated since October 2013. At the time, Colonel Wu Guohui, a professor of China's National Defense University told the China Aviation News: "In the past China weakened in bomber (aircrafts), but in the future China will develop long-range bombers." Colonel Wu Guohui explained that stealth bomber has two advantages over ballistic missiles. First, ballistic missiles could be fired only once, while the stealth bomber flown many times. Second, once launched, ballistic missiles can not return to base, while the stealth bomber would return to base if the mission was canceled. Although the China's Air Force has yet to confirm their plans, but the analysts estimates the H-20 bombers might be done around 2025. In the future, China will require stealth bombers to achieve two strategic ambitions. First, to prevent the US dominated over the First Island Chain, which stretches from Alaska to the Philippines. Second, to further strengthen their leadership in the Far East. China Air Force H-20 along with the aircraft carriers and amphibious assault of China Navy ship will give them a major force projection capabilities. Like the United States, which has invested U.S. $1.2 billion per year for developing new stealth bomber to replace the Northrop Grumman B-2 Spirit bomber, Wu said that it is time for China to develop their own bombers. Strategic bombers like the US B2 and China Xian H-6 has now become easy targets for the advanced air defense missile systems today. Similarly, Russia is now developing the PAK DA stealth bombers to meet the needs of future wars. Currently, only the United States, which has been producing and operating a stealth bomber, such as the Lockheed A-12, Lockheed F-117 Nighthawk and the B-2 Spirit. And now, the B-2 bomber is the only US-operated.